VERNONA GOMEZ is the daughter of June O'Dea and Vernon 'Lefty' Gomez. As a child, she bounced on Babe Ruth’s knee, made sandcastles on the beach with Joe DiMaggio at spring training and won at cards with the legendary 511 game winner Cy Young who pulled the 'Old-Maid' from her hand, much to her delight. Growing up in a baseball family, Vernona was a tag-along with her parents at All-Star and Old Timers’ Games, World Series, spring trainings and Cooperstown Induction weekends. An eyewitness to many of the adventures chronicled in the book, Vernona has maintained life-long friendships with many of its contributors. She is an avid Yankees fan and has done extensive research on American history of the 19th and 20th century, with a special focus on baseball and musical-comedy theatre. Vernona is also a concert pianist who made her debut in Carnegie Recital Hall at the age of 8 years old. 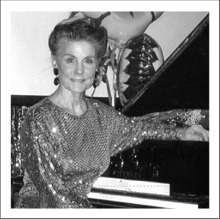 She is the owner and director of the Creative Coaching Music Studio in Southport, Connecticut. 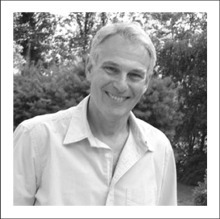 LAWRENCE GOLDSTONE is the author or co-author of fourteen books of fiction and non-fiction. One of his novel's won the New American Writing Award; another was a New York Times notable mystery in 2008. His writing has appeared in The Boston Globe, The Los Angeles Times, The Chicago Tribune, and other periodicals. Goldstone, a noted historian and passionate baseball fan, has been a teacher, lecturer and senior member of a Wall Street trading firm. He lives in Westport with his wife.